The Nekobito (feline people) script is an abugida used in Lianiis Min. 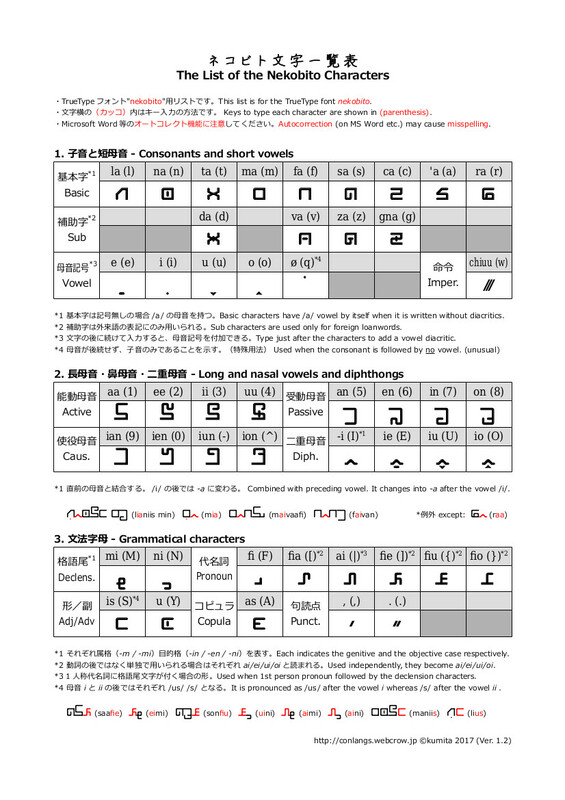 (Abugida - Wikipedia) Though there was originally no definite writing direction, feline people began to write in left-to-right direction later, influenced by neighboring human writing systems. They use an angular font when letters are engraved on clay or stone tablets, while latin-like round cursive script when written with a brush or a pen. Each character's shape originates in shapes of some body parts such as ears, eyes or a tail. As Lianiis Min's consonants are related to the body parts, there is an aspect that the characters represent not only phonetic but logographic elements. 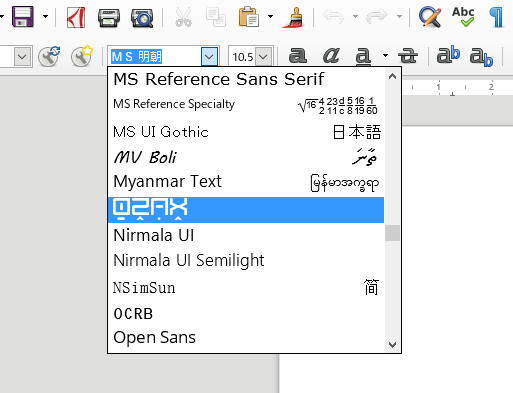 ※ フォント一覧では N の段に配置されます。 You may find the font in N section on your list.